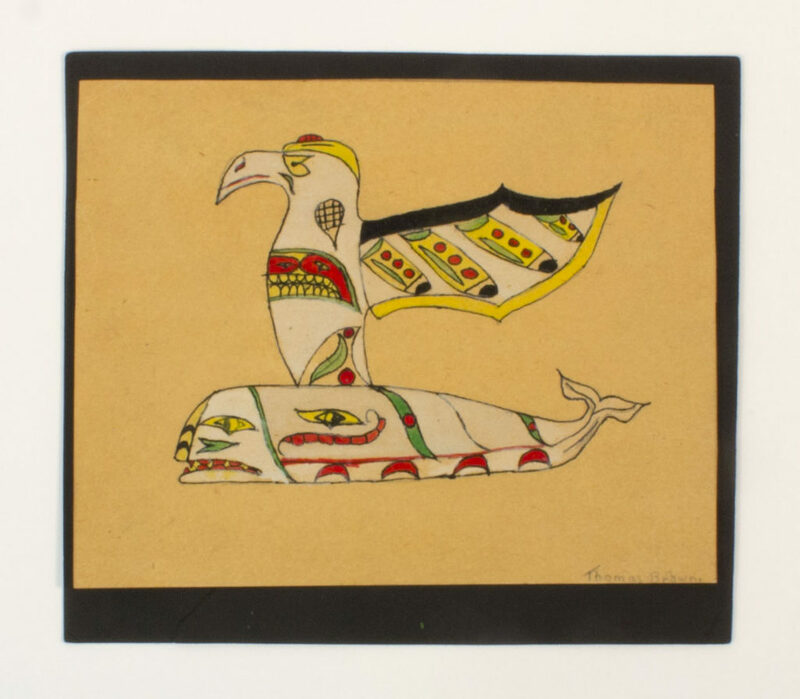 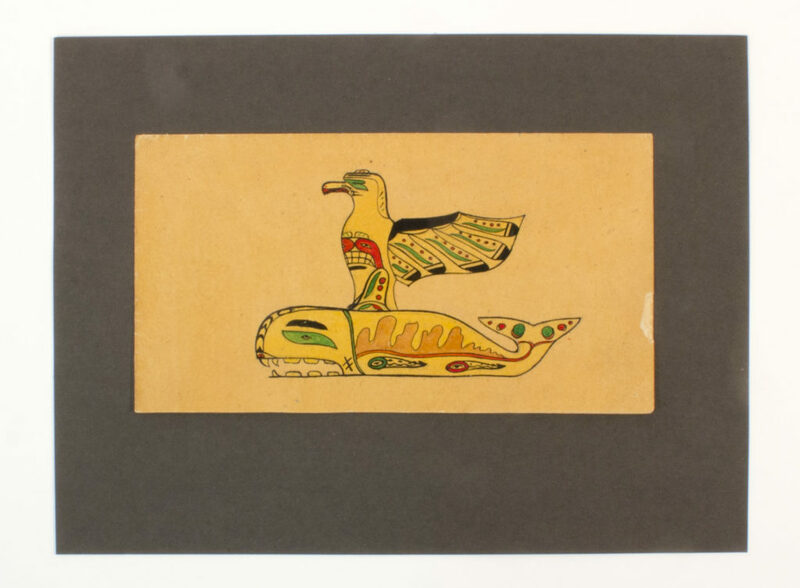 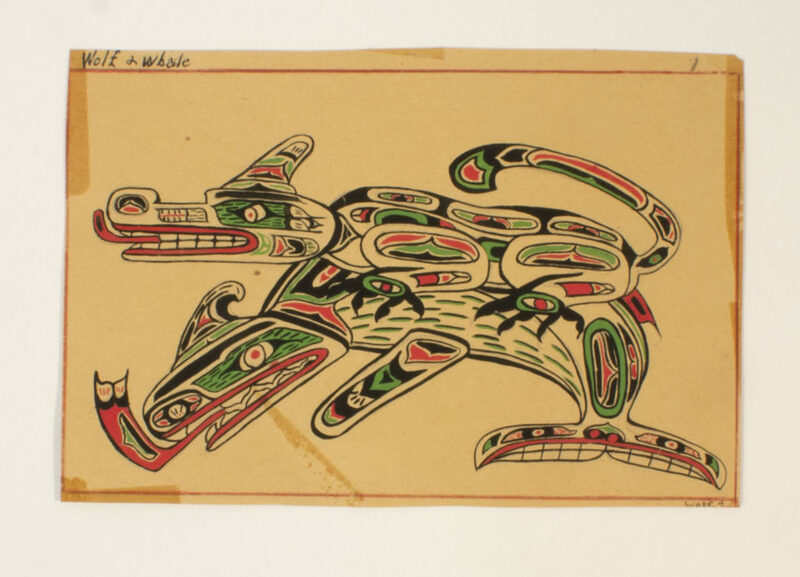 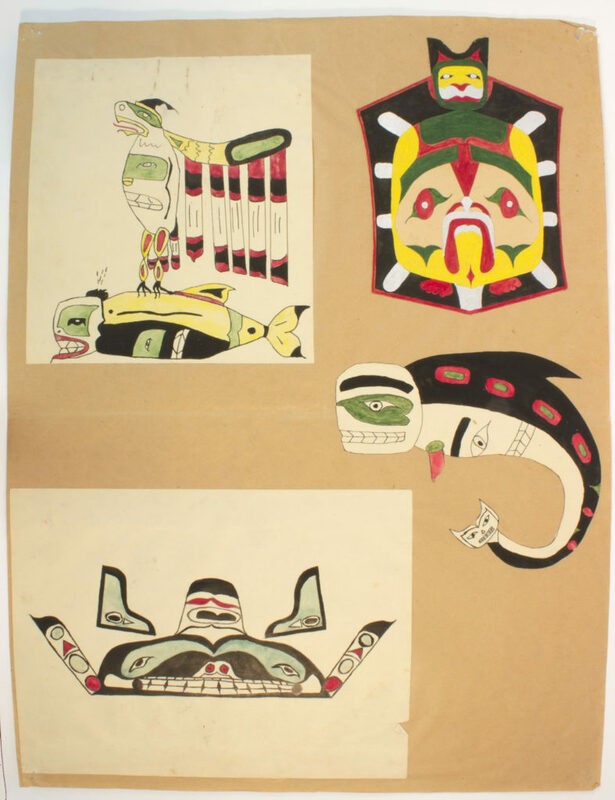 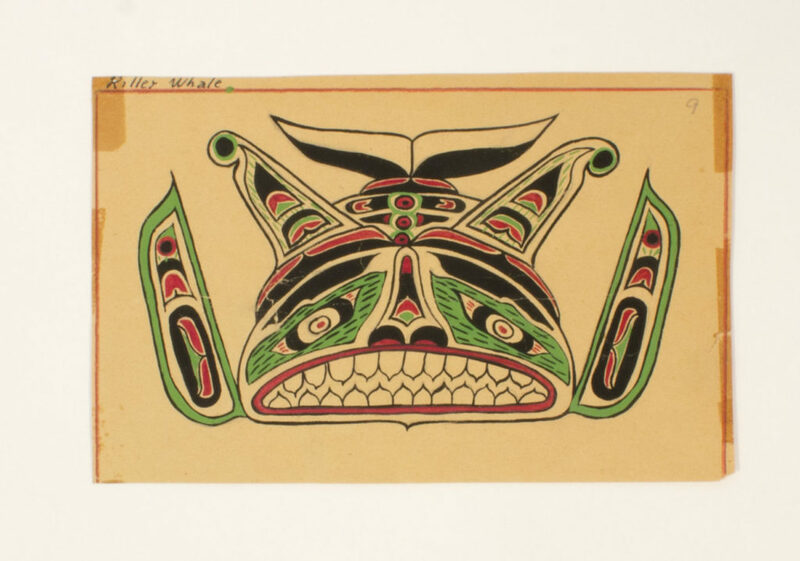 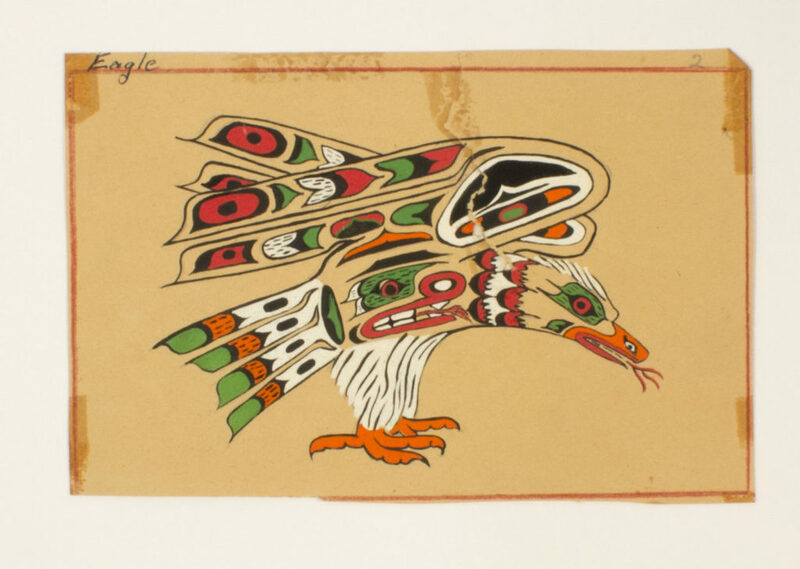 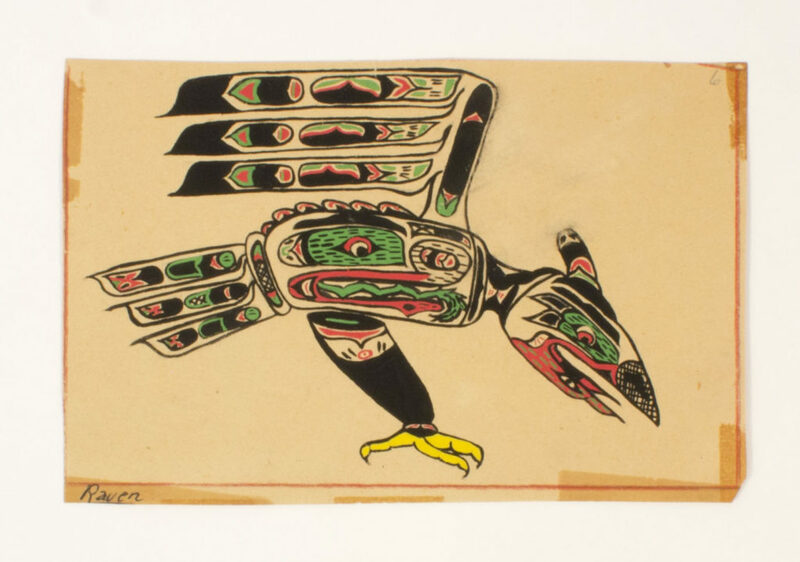 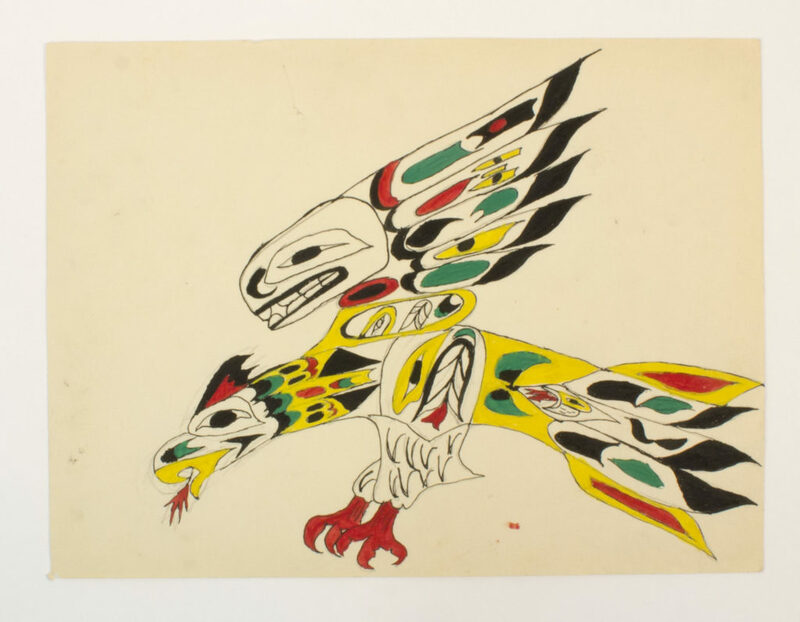 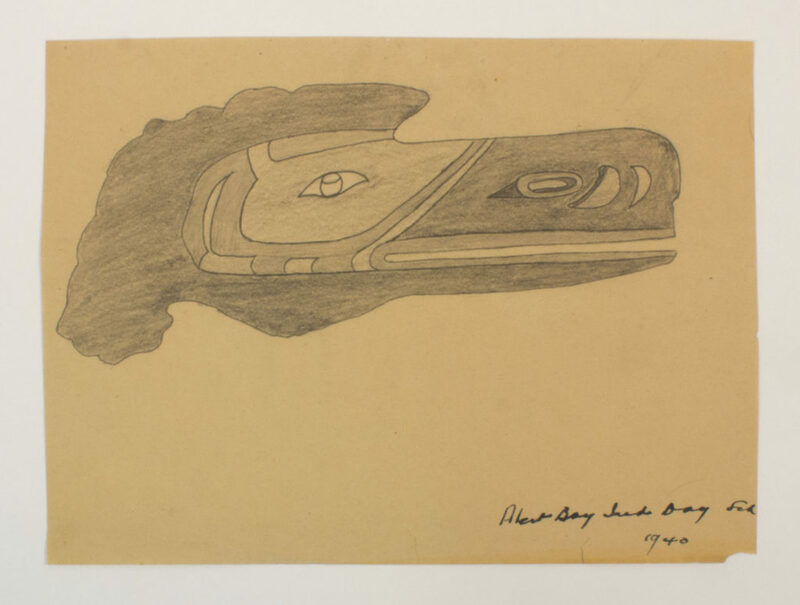 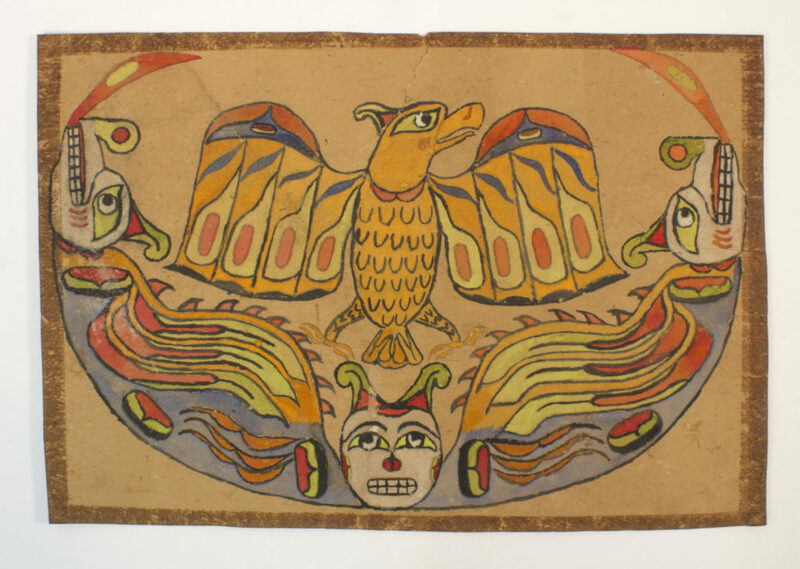 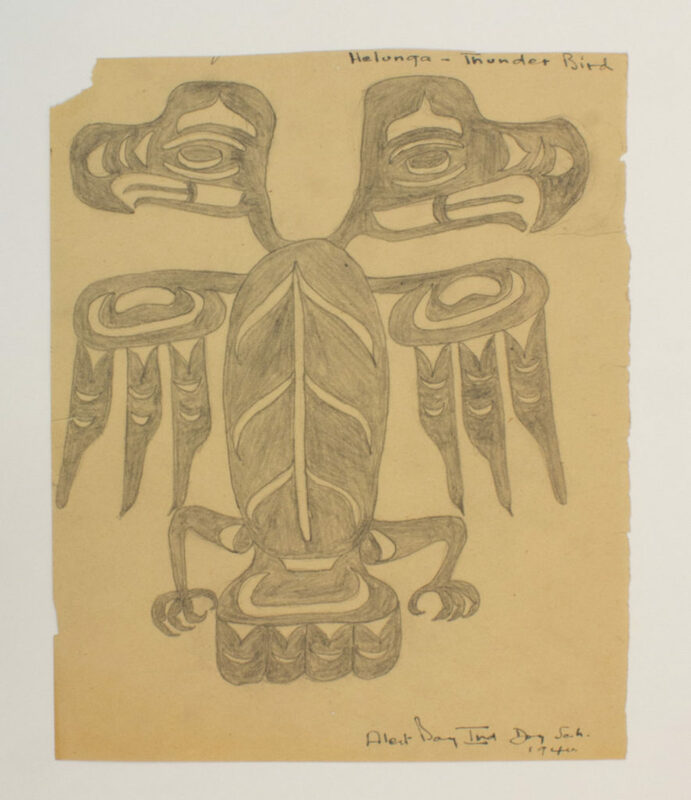 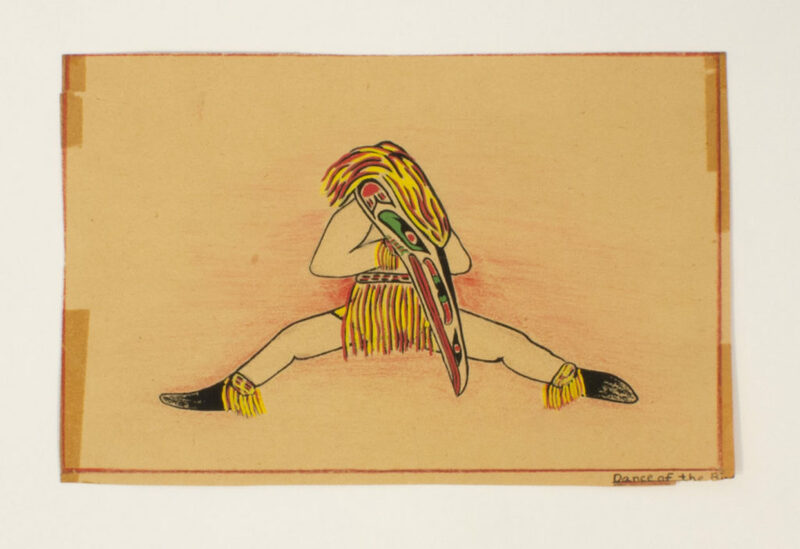 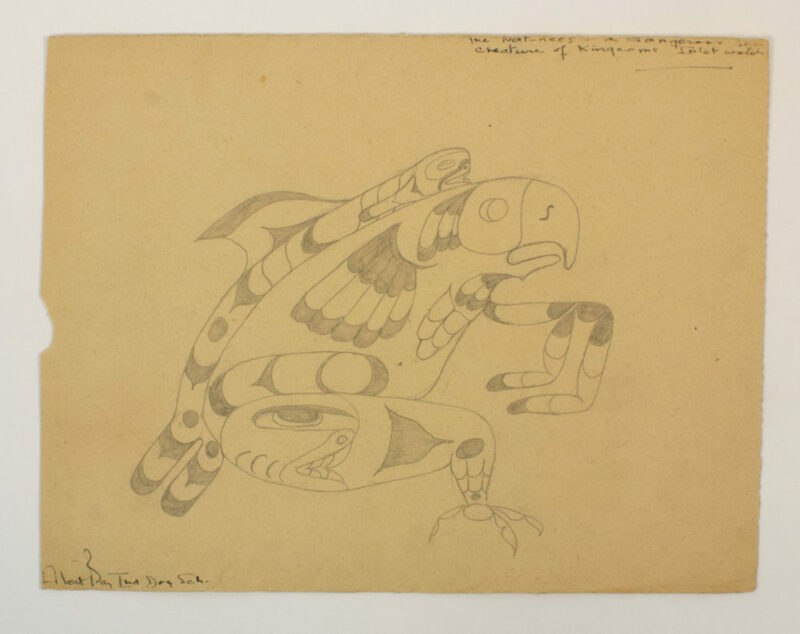 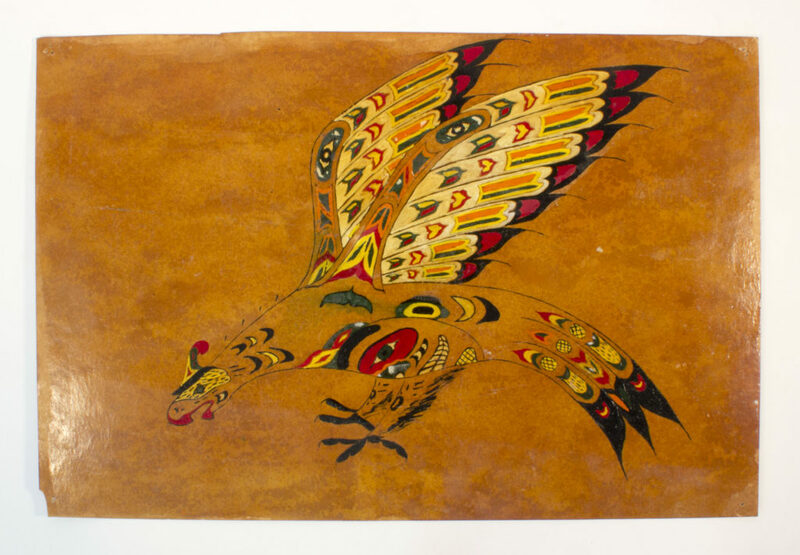 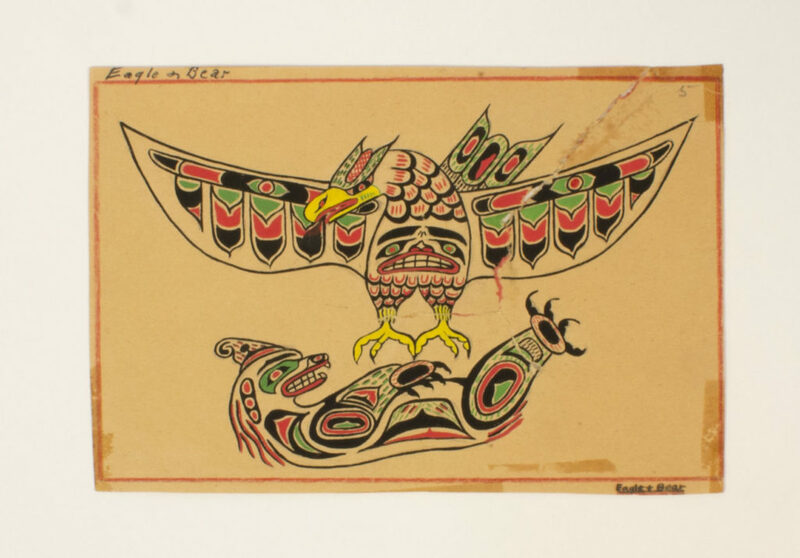 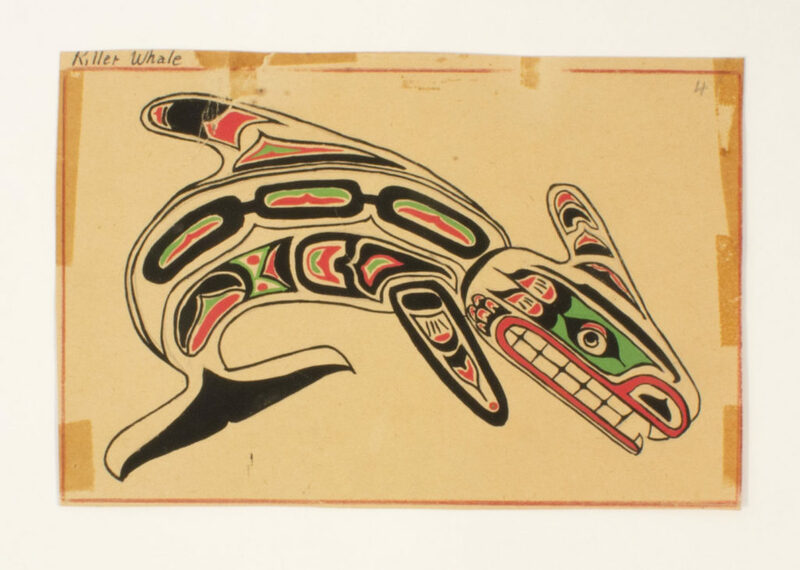 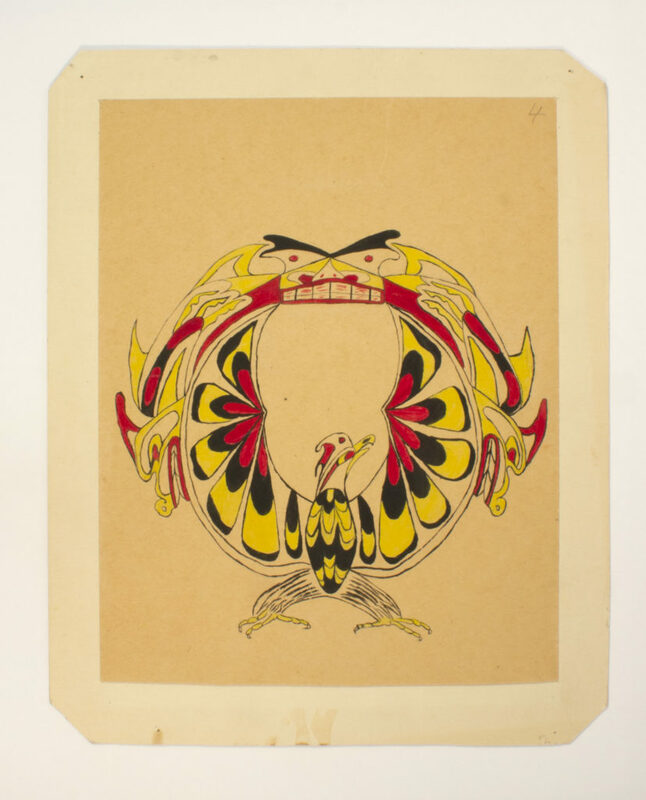 The artworks on exhibition from the St. Michael’s Indian Residential and Day School in Alert Bay, BC, were created between the years 1940 and 1969. 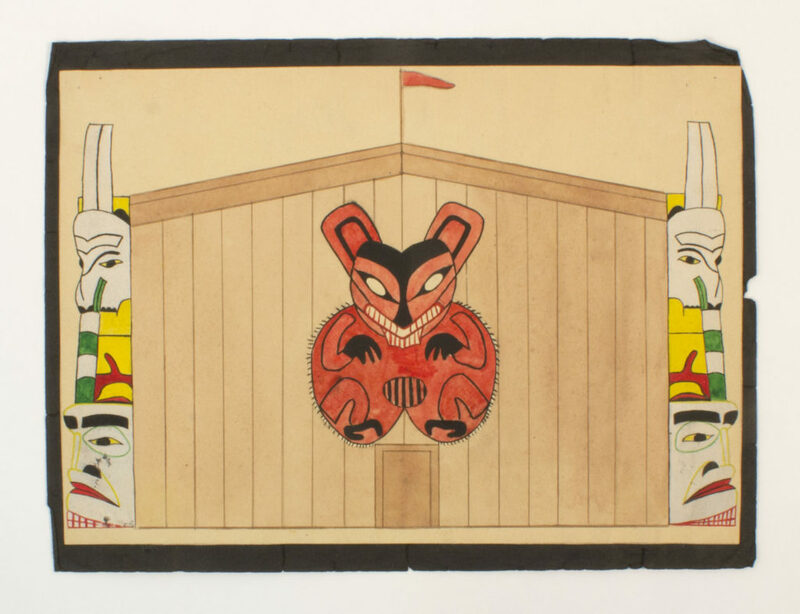 In 1961 St. Michael’s transitioned from operations as a residential school to a hostel for students attending the day school or local public school. 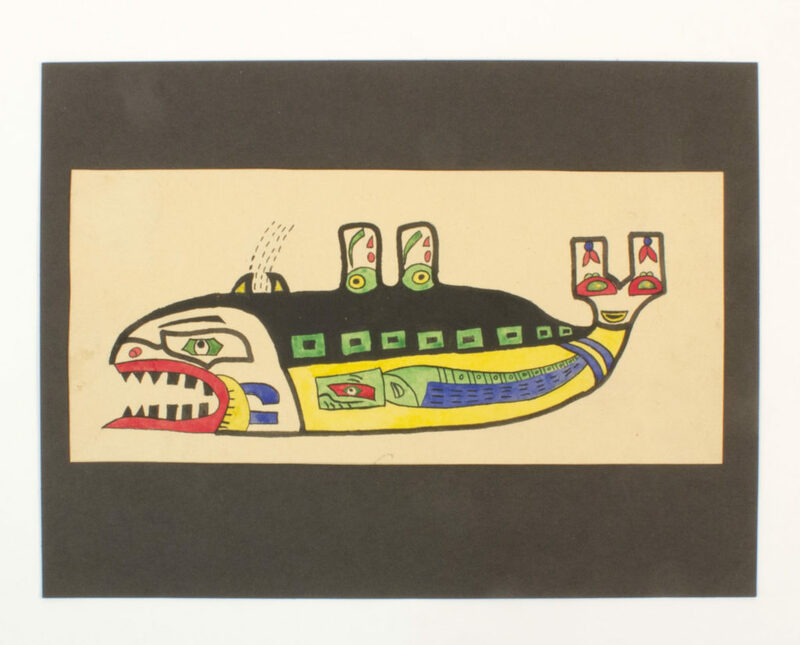 Throughout its operation, there was no official art curriculum used by teachers. 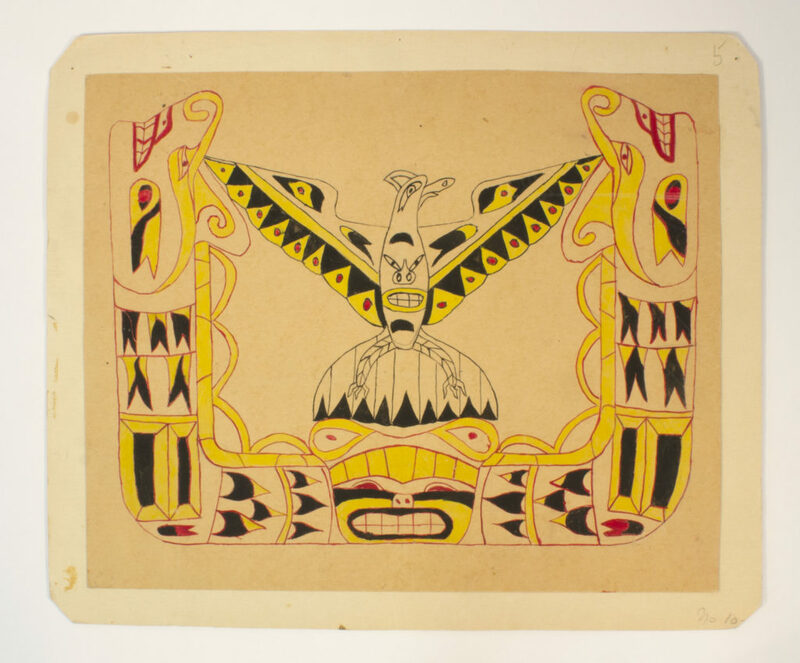 As a result, the surviving collections of student artworks reflect various approaches to how different instructors used art in the classroom. 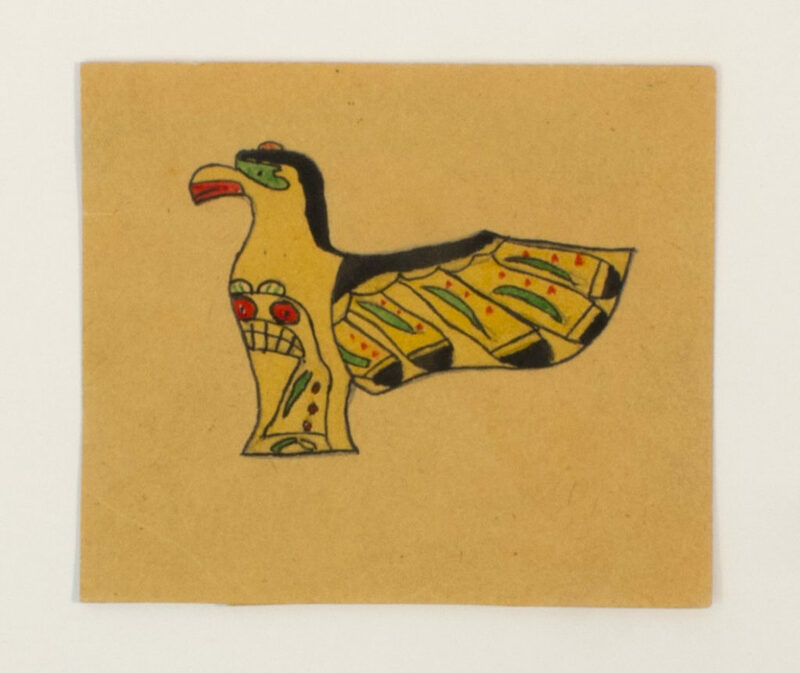 It is rare to find archival documentation of children’s art collections that explain how and why the art was created. 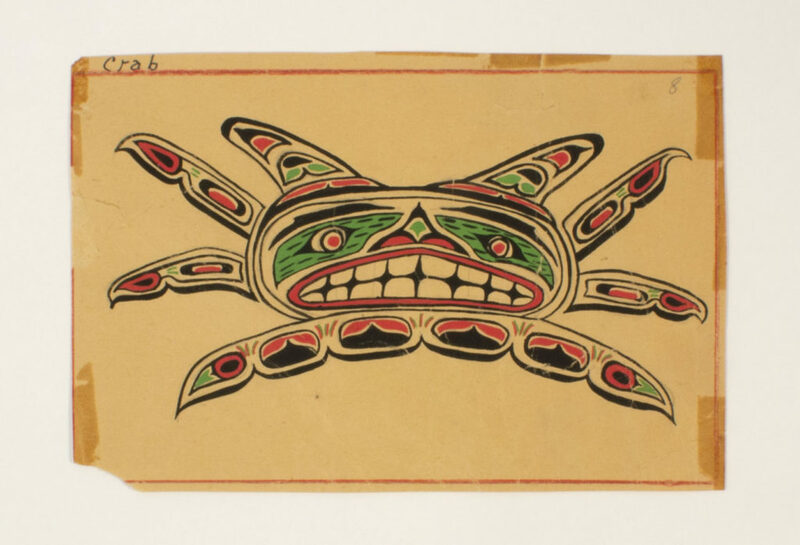 Contemporary research and exhibitions rely on the generosity of Survivors who share their memories to build knowledge around the collections. 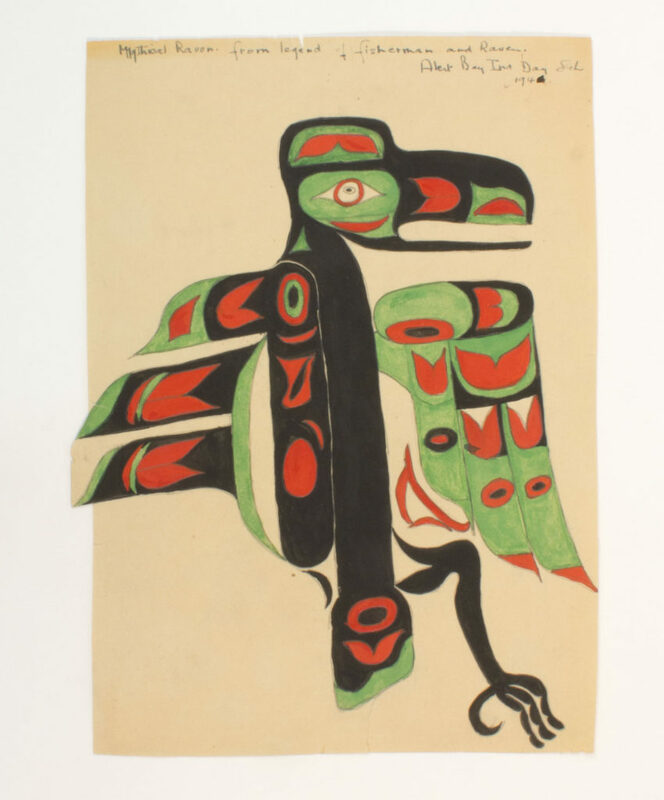 The artworks displayed are selected from four St. Michael’s collections that are presently owned by the U’mista Cultural Centre in Alert Bay, BC. 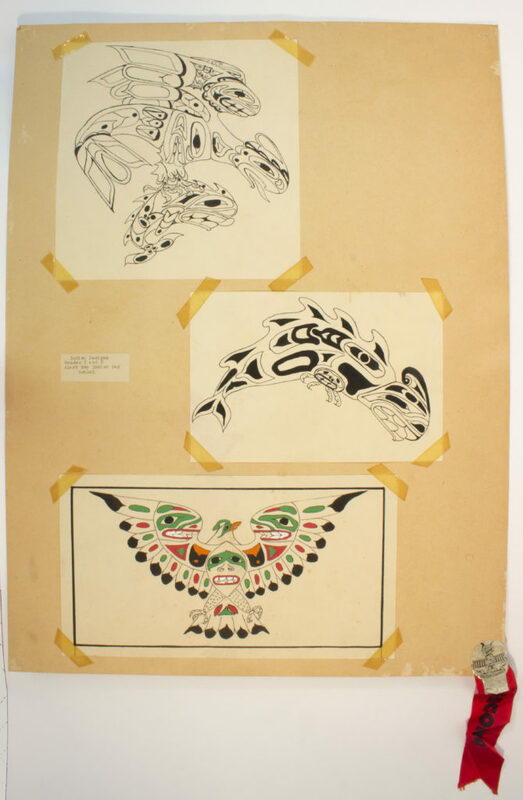 Because the research on these collections has only just started we do yet have consent from the individual artists whose names are written on any of the works. 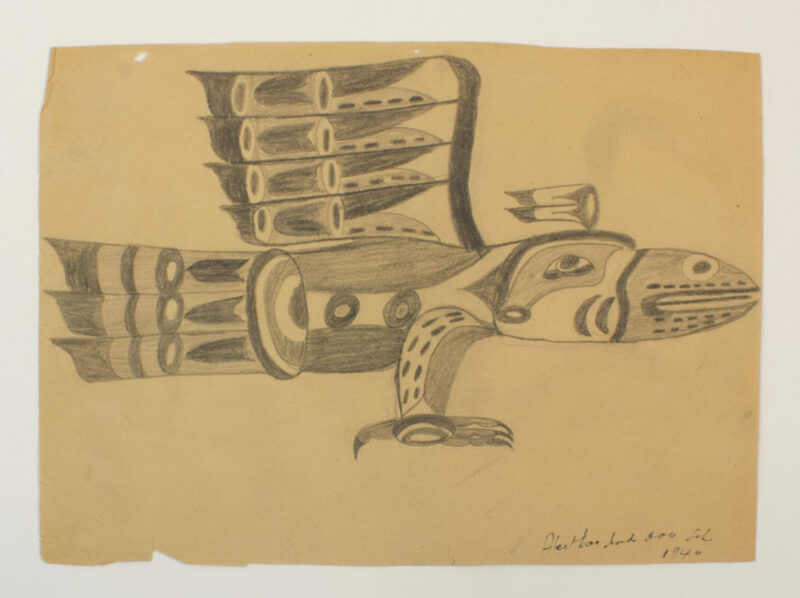 However, the U’mista Cultural Centre has granted the Legacy permission to exhibit these as anonymous while we begin to build a collaborative research and exhibition program with Survivors and their families. 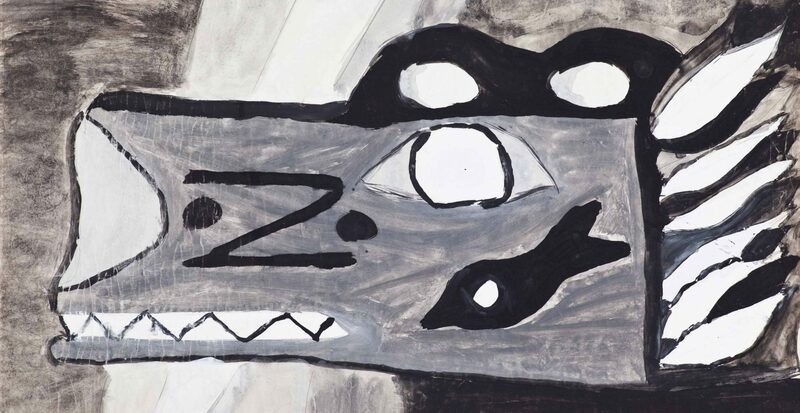 Despite being anonymous, these works are representative of the content and style of collections as a whole.